Politicians are set to table a report on Monday calling for an urgent Parliamentary inquiry into concussion in sport and funding for research into the links between head injuries and early onset dementia. The Mail on Sunday reports that a cross-party group of MPs and peers, led by Labour MP Chris Bryant and Dame Tanni-Grey Thompson, will urge sports authorities to do more to protect athletes and improve their protocols around head injuries. "Professional sport has dragged its heels for far too long over the risks associated with concussion," one contributor to the report told the Mail on Sunday. "All sports need to simplify the message and tell parents very clearly that concussion can kill." The news comes after a series of high-profile cases of concussion in professional rugby. World player of the year Kieran Reid was forced to miss New Zealand's first Test against England on Saturday after recurring problems from a concussion he suffered in April, while former England international Shontayne Hape last week retired from the game after a series of head injuries. 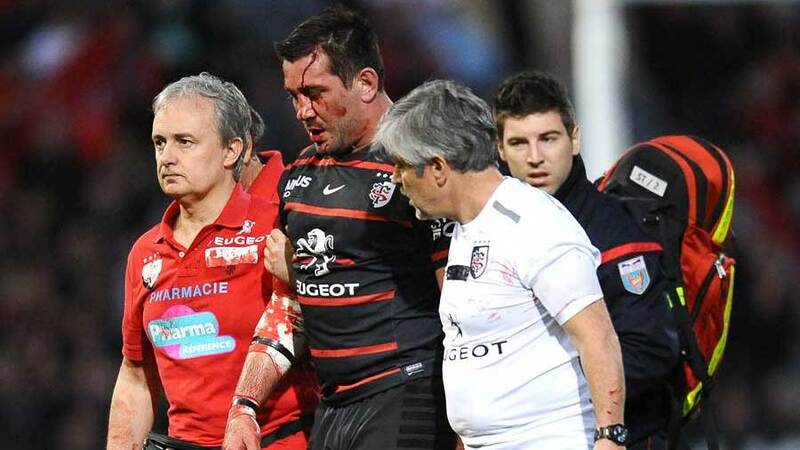 And who can forget last month's Top 14 incident which saw a dazed Florian Fritz, blood pouring from a head wound caused by a clash with Francois van der Merwe's knee, forced to return to the field for Toulouse after just 16 minutes despite clearly being unable to continue. Fritz later told French television: "I had a small KO. I don't remember everything." Chris Bryant, who has served on the Culture, Media and Sport Select Committee, has called for urgency on the matter. He said: "We are letting players, especially young players down if we don't take this seriously -- and soon."